Thank you Isha for such a wonderful birthday gift! On this very special occasion, I would like to thank all who supported me, starting from my family. I live in a small town, Lakhanpur, where most of the people I see, are still living in ‘old age’. They haven’t developed their beliefs since the past few decades…..growth of human character is stagnant here. But even among these people, my family helped me survive the dark corners and brought me to light. My family protected me, guided me, inspired me and motivated me to do what I really wanted to! I was given the freedom to express myself and develop myself the way I wanted. My family provided me everything I wished for, and fulfilled all my desires, right from being 1 to now being 21….!!! You might be surprised looking at the title, “18, Varungenius & 10,000”. So, here’s what it means! 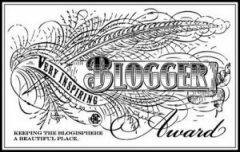 ‘18’ that’s my birth date; ‘Varungenius’ that’s my current identity, and ’10,000’ that’s my success number…..a milestone of 10,000 hits on my blog, that I recently crossed! The reason for putting these three things together is that these three ‘things’ have framed my life. My birth date allows me to thank my parents for giving me birth in this wonderful and beautiful world; my identity ‘Varungenius’ is the space that I created for myself, a proof of my existence in this world; and finally ’10,000’ is the success milestone that I have crossed because of YOU! So, these are all connected to my life in some or the other way!! It all started with an inspiration, from nature around me and with passing time, I acquired the wonderful ability of interpreting the nature in my own words. And today my blog has 70 followers and a lot many admirers. It is all because of YOUR continuous support and appreciation that I have crossed a milestone of 10,000 hits (all-time views) on my blog! It seems to be just a figure, but it gives me intense satisfaction to know that I really inspire people. 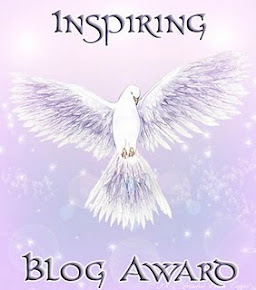 I’ve also been honoured with 9 blog awards past three months. Once again thank you all for your support and appreciation!! I knew it this one had to be a great one… its really so sweet of you to make us a part of your identity, that makes the true varun. Its our pleasure to know you and read your so wonderful post you share with us. and ya about that lil surprise, it was nothing in front of your so caring nature. I just tried a bit to make you smile. But you had always brought smiles on many faces. keep rocking. And yes, happy birthday once again. I wish you a Happy Birthday. Thanks for sharing it all! Happy Birthday and enjoy you. i m speechless after reading ur blog…….today i m really so hpy and grateful to god fr your success which u get by your own hardwork nd your gud thnkng…..its just a beginning dear…….my support and my best wishes are always with you………MY GENIUS BROTHER………. Happy Birthday dear Varun and Congratulations on your great success! congratulations! and belated happy bday!